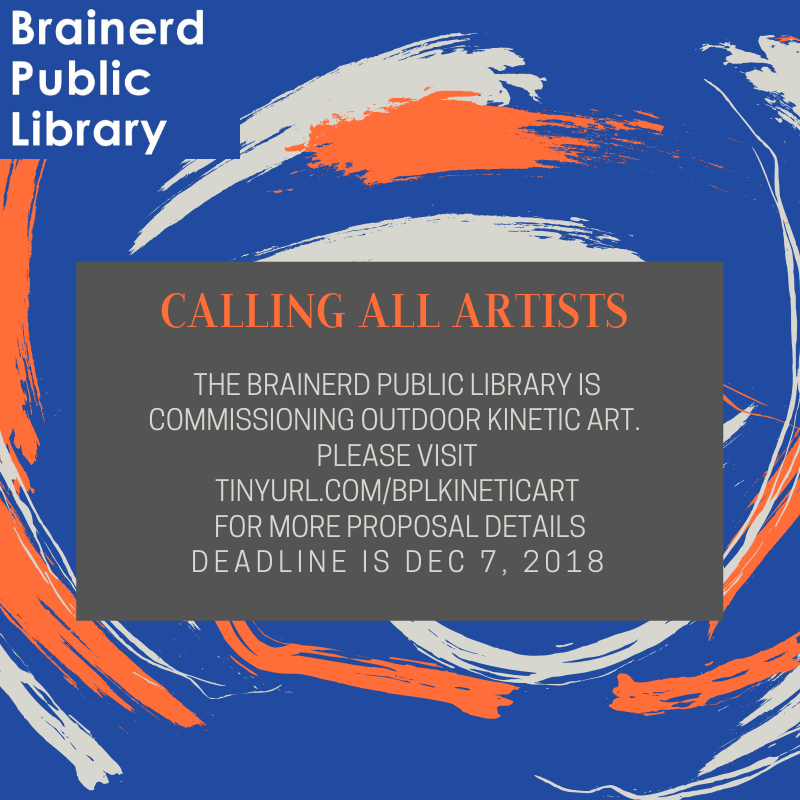 The Brainerd Public Library is excited to announce that they have been awarded a grant to commission public art in the form of kinetic/ wind sculptures outside of the library. The library is requesting artist’s proposals for kinetic/wind art with a deadline of December 7, 2018. For more information please view the RFP linked below. Click here for the formal Request for Proposal as a PDF . Check it out on Facebook ! The Brainerd Public Library has been awarded a grant to commission kinetic/wind art to be placed outside of the library. The intent is to allow for an art installation that will provide an inspirational experience to all visiting the library. A wide range of proposals are invited. Deadline for submission of proposals is December 7, 2018. For more information please view the RFP linked here. If you have any questions or concerns please don’t hesitate to call 218-829-5574 or email bradleyj@krls.org.